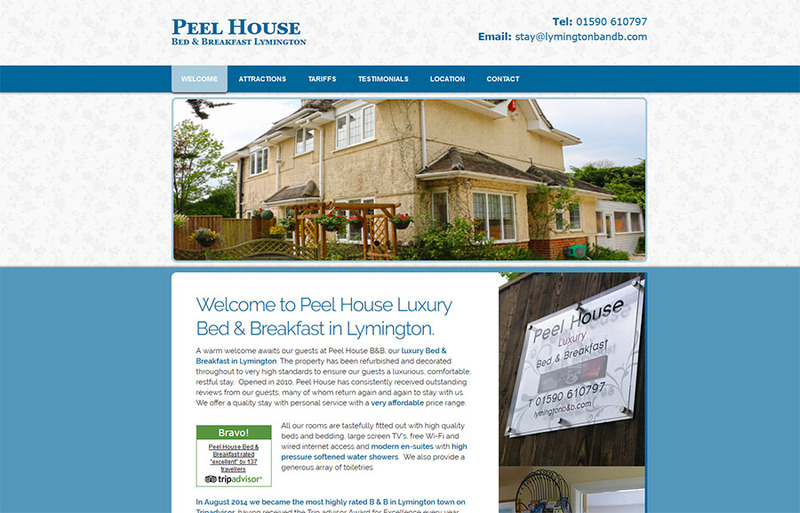 A warm welcome awaits our guests at Peel House B&B, our luxury Bed & Breakfast in Lymington. The property has been refurbished and decorated throughout to very high standards to ensure our guests a luxurious, comfortable, restful stay. Opened in 2010, Peel House has consistently received outstanding reviews from our guests, many of whom return again and again to stay with us. We offer a quality stay with personal service with a very affordable price range.